After playing music to entertain audiences for over 20 years, Rob Spampinato is stepping into a new role as musician. The lifelong Rockland resident and longtime musician is starting his own school of music, opening just in time for this year’s school year. 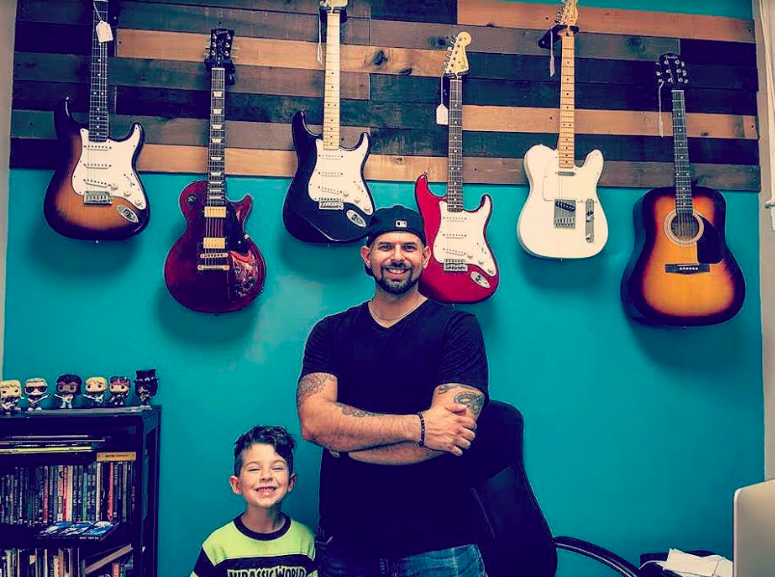 “Rob’s School of Music” opened two weeks ago on Lafayette Ave. in Suffern, offering lessons “for all ages, instruments and skill levels.” Programs range from one-on-one sessions to collaborative group workshops. Spampinaro first picked up a guitar at age 5, and though he chuckles that he quit after a year “because it hurt my fingers,” a passion for guitar really took hold in his early teens. Other instruments came along after that. He went on to study music at Ramapo College. Incidentally, his graduating year was the last year that Ramapo would offer a generalized music major, an option that he remembers as a well-rounded introduction to the industry. That holistic education would come in handy during the next decade or so, which Spampinato spent writing and producing music and touring nationally with his band heated exchange. Passionate teachers also help create a more personalized curriculum. “I think what makes us special is, if you go to some of the other music schools around here, they’re part of corporate programs so it’s corporate mandated what they have to teach; it’s very rigid,” Spampinato says. And “everyone” includes grownups, too. The school features both a rehearsal studio and a recording studio for those who’d like to practice. A separate retail section is open to the public, selling instruments, strings and picks. “We’re trying to be all-in-one,” Spampinato says of the wide range of offerings in the space. Rob’s School of Music will have two tents at the Suffern Street Fair from 10 a.m. – 5 p.m. on September 16th, featuring a combination of students performing together, students performing with teachers, and some professional musicians jamming out as well. Plans for the school year and more information can be found at robsschoolofmusic.com.